The water pump in air conditioning is the equipment that provides the power for the whole circulating water system. It consumes up to 20 percent of the whole energy in air conditioning. 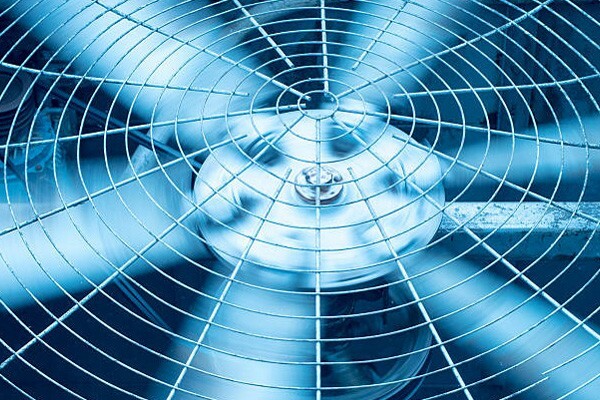 So the reasonable choice of air conditioning pump is very important to energy saving. 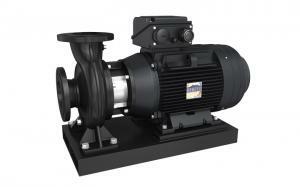 Therefore, the study of water pump is indispensable. The principle of horizontal axial split casing pump in air conditioning: the operation of the circulating system in air conditioning requires water pump as its medium. There are four water pumps in the central air conditioner. They have cooling and freezing effects, two cooling pumps and two freezing pumps. The function of the pump is to do work through resistance, so that water can circulate in the tube. 1. Freezing water pump: a device that drives water to circulate in a frozen water loop. We know that the end of the air conditioning room (such as the fan coil, air handling unit, etc.) needs the cold water provided by the chiller. But freezing water doesn't flow naturally because of resistance. This requires the pump to drive the freezing water to cycle to achieve the purpose of heat exchange. 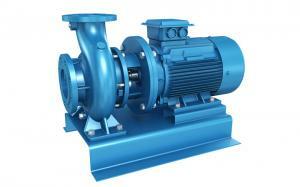 2.Cooling water pump: a device that drives water to circulate in a cooling water loop. We know that the cooling water takes away some energy of the coolant when it enters the chiller，then flows to the cooling tower to release the heat. The cooling water pump is responsible for driving the cooling water to circulate in the closed loop from the set to the cooling tower. 3.Supplementary water pump: the equipment used for water filling. It is responsible for the conveying of the softened water into the system. 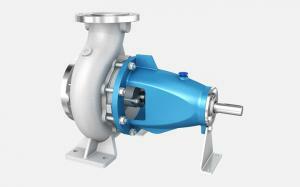 The common water pumps are a horizontal centrifugal pump and vertical centrifugal pump. They can all be used in chilled water systems, cooling water systems and supplementary water systems. A horizontal centrifugal pump can be used in large-area machine room. 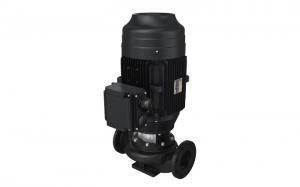 Vertical centrifugal pumps can be considered in small areas. When the pump is running in parallel, the flow will decrease. Booster air conditioning pump is suitable for families, garden irrigation water cooling system, air conditioning system of small industrial water supply system. It has a compact structure, stable and reliable with low noise. Air conditioning pump is suitable as the circulating pump of cold water, cooling water and hot water. It can also be used as a water supply and drainage system for other projects to transport water or other liquid of same physical and chemical properties with water. The medium temperature should not be higher than 80 ℃. It belongs to the post-open structure. It has the characteristics of easy maintenance, stable operation, reliable, long life and low noise motor. It is about 10dB lower than its equivalent. 2.4MPa pressure test is taken to ensure safe operation. It is easy to overhaul without removing the pump body and pipe. It's versatile. It only has 4 kinds of specifications of shaft, bearing, coupling cover, reduced spare parts, easy to repair and management. Air conditioning pump is an ideal new type of efficient energy - saving pump. It is widely used in the family life to draw water, underground pumping water, water pressure, garden irrigation, vegetable sheds water supply, mining enterprises, and aquaculture, etc.